Golf is big business around the world. With high profile series such as the PGA, LPGA and European tours to the re-introduction of golf to the Olympics at Rio 2016, golf occupies a prominent place in the global sport community. 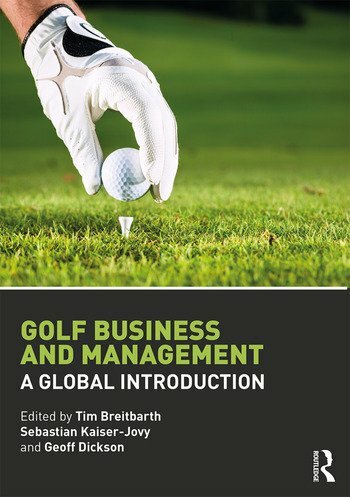 This is the first book to introduce the fundamentals of golf business and management from a truly international perspective, covering key topics such as media, club management, sponsorship and retail, at elite and non-elite levels. With sections exploring the development of golf on every continent, including North America, South America, Europe, the Middle East, Africa and Asia, this book presents the latest thinking on current issues in golf, ranging from sustainability and innovation to global governance. Each chapter incorporates helpful features for students including learning objectives, discussion questions, guides to further reading, recommended websites and insights from industry voices. This book is essential reading for students of any golf-related degree course or professional accreditation programme, and will also be of interest to those studying or working in sport business, sport management and sport tourism. Underpinned by up-to-date literature, golf researchers will also find the book a useful starting point.